When I hear the term “spring cleaning” I often think of white sheets hanging on the laundry line, fresh flowers on the table and the smell of fresh lemon in the air. Usually, though, instead of fresh lemon, it’s synthetic. And the smell is competing with a myriad of other harsh chemicals that sting the nostrils and burn the eyes. Spring cleaning is normally anything but natural. But it can be natural. The following ideas are not only simple, they’re also easy. And implementing these suggestions will even have pleasant side effects like an impeccably clean home and a naturally fresh aroma you’ll love. It’s pretty easy to go through a whole lot of paper towels and other disposable items when you’re doing your spring cleaning. However, a few good rags will do a great job and get you through many years of deep cleaning. Some prefer microfiber cloths while others use this opportunity to give a little more life to their damaged or outgrown t-shirts. I prefer cloth diaper prefolds myself as they’re so durable, hold lots of liquid so you can use less cleaner, and get more absorbent as you wash them. You knew I’d suggest this, didn’t you? And, of course, I wouldn’t make the suggestion without pointing you to some excellent recipes! Make your own natural cleaners this year so you can tackle the job without worrying about what toxins you (and your loved ones) are breathing in. You can make everything from all-purpose cleaner to wood polish. Don’t want to hop all over the Internet? 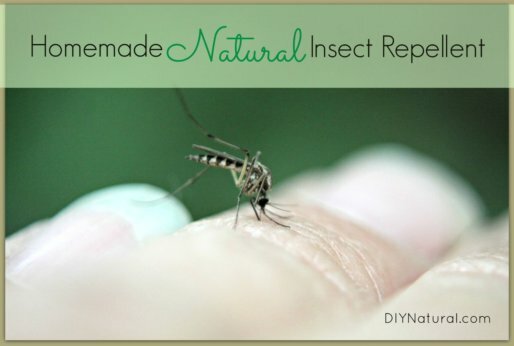 Check out DIY Natural Household Cleaners, which is full of DIY recipes you can whip up in no time. This is one of my favorite tips because it makes spring cleaning easier and cuts down on cleaning all year – you don’t have to clean what you don’t have. As you go through each room, take a box with you. If you spot something that you never use, doesn’t fit or just makes the room feel too cluttered, put it in the box. If your spring cleaning is spread out over the course of a few weeks, make sure to donate the box contents after each session – otherwise it might sneak its way back in. If you’re doing one big spring cleaning blitz, haul all of the unwanted items away in one load. Want more de-cluttering tips? Check out what you should do before you de-clutter. Pretty simple, huh? If you’re like me, you may have kept your windows closed for the majority of the winter, opening them only when, say, your cooking experiments didn’t go as planned. But opening the windows regularly is good practice – about 15 minutes per day – so that fresh air can sweep through and everything else can head outside. Did you know that many essential oils are antibacterial, antifungal and antiviral, and that by diffusing them in the air you can kill pathogens that can make you sick? Even hospitals are beginning to use them. 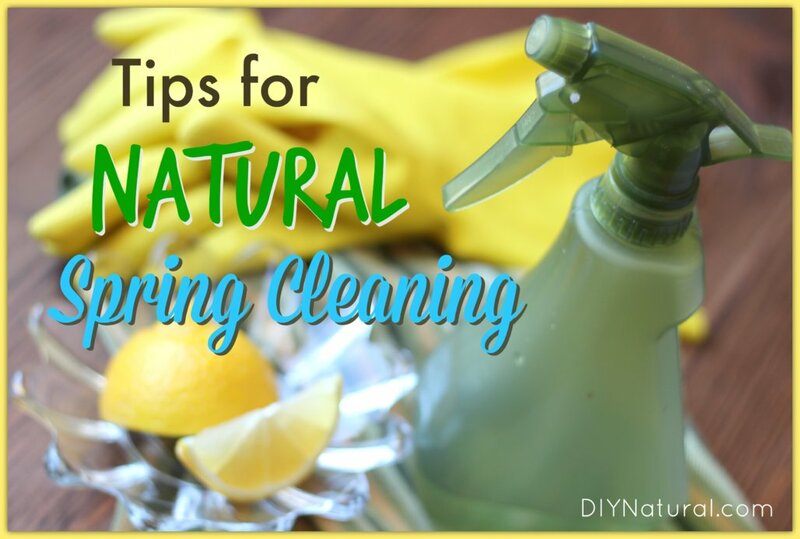 What tips can you share for natural spring cleaning? Nina, I’m totally amazed by you. I can’t tell that you are a mom of four and a cleaning expert. If it wasn’t you, I’d never know about the essential oil diffuser, I’ll buy one!!! I like that you suggested donating the clutter. Don’t keep it intending to have a yard sale. You will have to keep cleaning around it till you have the sale. Just be a blessing to others and give it away. Find a charity you can invest yourself in. I keep a bag/box in my closet and as the kids outgrow stuff or I find things we’re not using, in they go. When it’s full it goes straight to my car and I drop it off at the mission when I’m out. I love to have my windows open. However I have been having problems with allergies and they say that opening the windows is the worst thing you can do as it lets everything outside that’s causing your allergies to come inside. So allergy sufferers beware! Great read!!!! Which essential oils are antibacterial, antifungal and antiviral? ?